ARRO Westside Family and Community Center selected as site for the 2011 Oregon Walk Now for Autism Speaks, Presented by SharingSpree.com Awards Reception & Kickoff Event. Autism Speaks has pumped more than one million dollars in research and community service grants into our great state. This family friendly event is totally free and is a fantastic way to network with others and learn more about the Oregon Walk Now for Autism Speaks and local efforts! To ensure that we have enough for everyone, we just ask that you RSVP via this link if you will be attending! 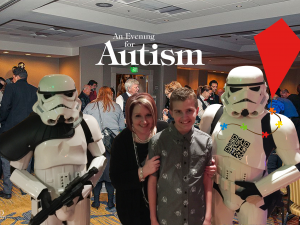 And, whether you can attend or not, sign up for great deals from SharingSpree.com and support Oregon families and local Autism research by setting Autism Speaks as your non-profit of choice. Every free sign up with Autism Speaks as the non-profit of choice generates $1 for the 2011 Oregon Walk Now for Autism Speaks!